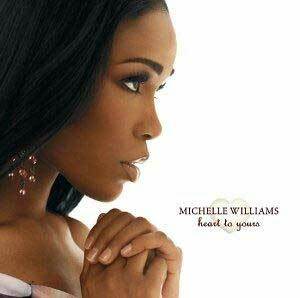 It may be Michelle Williams idea of heaven, but "Heart To Yours" is our idea of hell. Gospel music may have been a healing voice in more innocent times, but when planes are being flown into skyscrapers in the name of religion and its a fact that religion itself is responsible for more violence and wars that any other force you have to question just why people still place their faith in such a destructive force. Especially someone like Michelle Williams, who's day job involves travelling around the world with Destiny's Child playing in arena's endorsed by McDonald's and Pepsi (companies that are proven to be two of the most destructive capitalists pigs on an international scale) - its kind of a contradiction of the peace, love and jesus love you lifestyle that Michelle Williams claims to live. "Everything" sums up my point perfectly with the lyric "don't you worry about a thing, some understanding he will bring". I prefer to go along the Dead Prez lyrical idea's of "the same god that let Hitler put jews in the oven" which is probably more telling that the complete 50 minutes of self righteous nonsense that Michelle Williams wrongfully believes is true. In an all time low Williams duets with fellow christian diva's Mary Mary on the atrocious "So Glad" which is about speaking the language of god in a completely patronizing street level to appeal to the youth of the nation. "Heart To Yours" is a million miles from the bootylicious sounds of Destiny's Child and offers little that gospel singers haven't sung way back in the day. While I acknowledge that religion and music can go hand in hand as displayed by the likes of P.O.D, Lighthouse and to a lesser extent Delirious, its when the religious dogma starts to take over the actual quality control of the musical output that things really start to suffer.